Is Mamata's landslide win Bengal's 'PTSD' reaction to communist rule? Three decades of the Jyoti Basu dark regime may even put the present North Korean dictator to shame. Democracy has its limitations. Democracy in a nation with a large band of illiterate, famished have-nots may not always be in tune what is expected to be morally right. West Bengal's election results; with the TMC's landslide victory under Mamata Banerjee, is a notable example of this paucity. Even without a bit of bias it would be appropriate to say that the law and order scenario in Bengal has been dismal since Mamata "Didi" Banerjee took over. This state continues to be amongst the least safe places in India for everybody. Bribery was rampant in every echelon of government, as evidenced by recent sting operations. The failure of the government in curbing this increasing tide of crime is apparent. While the TMC's claim of Mamata Banerjee's personal integrity is yet to be ascertained but Didi as an "honest" queen of a band of thugs is not a pretty picture either. The complete disintegration of the rule of law as evidenced in Bengal on May 19 is a phenomenon propagated by a lack of development including lack of job creation, burgeoning of have-nots and crumbling of infrastructure required to sustain a geographical area which is one of the most densely populated in the country. It is thus interesting to note that despite all this the TMC manages to come back, beating all its opponents in the hustings with the massive mandate. Though trying to find logic for the voter's choice is like counting drops of water in an ocean but let's try a hand at it. The communists of Bengal who rule the state for over three decades gets the credit of Bengal's downslide to become poverty stricken and deindustrialised. These three decades of communist rule under the CPM strongman Jyoti Basu was a dark era marked with lack of human rights that may even put the present North Korean dictator to shame. His totalitarian government got consolidated after adequately bypassing a bunch of ideologically unalloyed communists in his party who were but honest to the core. Despite having minuscule islands of ethical individuals, the three decades of communist rule in Bengal was riddled with corruption. Indira Gandhi, the queen mother ruling India at that time was happy to look to the other side while Jyoti Basu was guileful enough not to disrupt her roost. 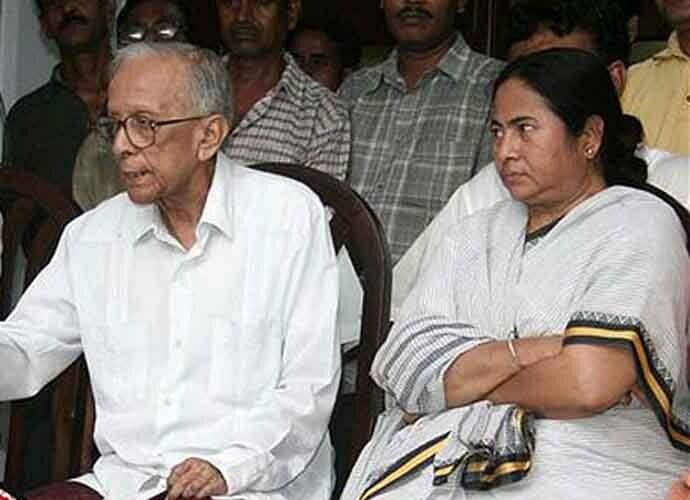 In Bengal, though knavishly, Basu blamed the central government for all ills plaguing the poor people. As a child, I still remember the mammoth meetings were held at the Brigade Ground in Kolkata at regular intervals where he pontificated that "Centre" was responsible for all ills that his people faced. His non-performing rule on the developmental front, especially in the last half of his stint, rendered West Bengal to lose its status from its past standing. It may be recalled that in the initial years of independent India, West Bengal fared exceptionally well and was recognised as one of the most industrialised states in the country. The communists who dominated the Bengali social and political space for a very long time were successful in holding on to power, despite their abject lack of performance. They ensured that an army of thugs manning CPM at the ground level decided at every point where the money would be flowing and accordingly could demand cuts on every investment. In the meanwhile, detractors were maimed or annihilated into submission. The vicious era of communist rule is unfortunately left deep scars on the people of Bengal and their psyche. Even the present chief minister had to face physical abuse for her political standing during the draconian Jyoti Basu regime. I'm thus just not sure if Mamata's big win is exclusive to her credit or a reaction to the post-traumatic stress disorder induced by three decades of communist rule. Ending it in an approbatory note; my only hope is that Mamata realises this support bestowed on her by the people of Bengal and can hold back the lumpen elements in her party and lead the state to more glorious days.